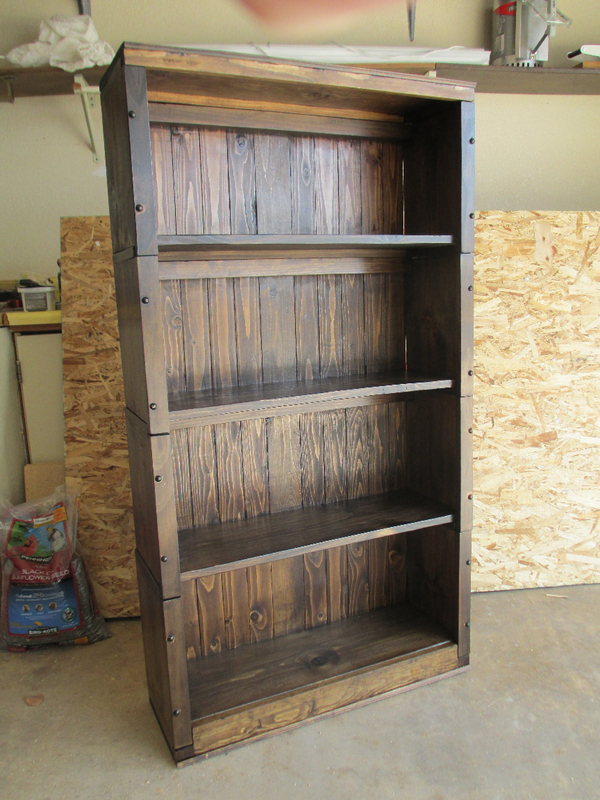 As mentioned in a previous post, I spent the first two months of this year designing and building a "modular bookshelf" - this is a bookshelf in which each individual shelf is a separate piece, which can be stacked on top of other shelves to create a bookshelf as tall or as short as you need it to be. Now, two months later, I finally have found the time to create a post about it. 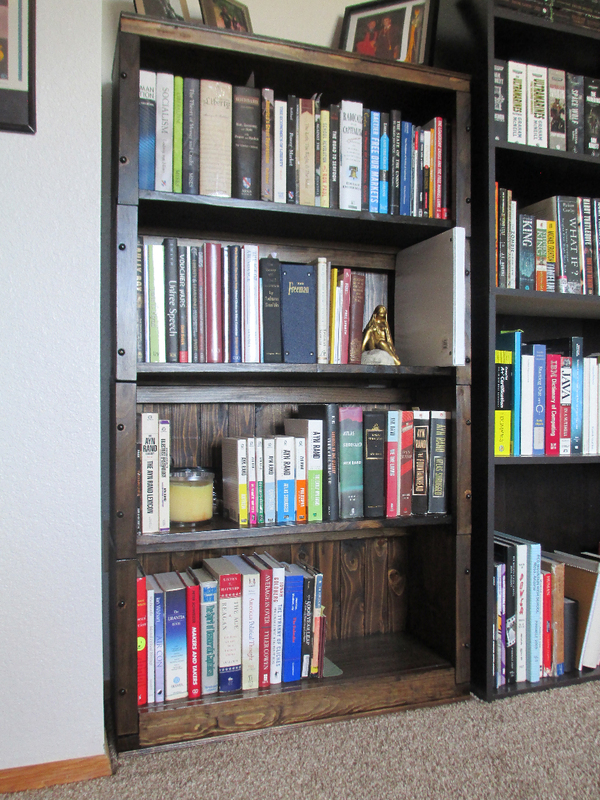 The goal behind the modular bookshelf was to have a standard design that was as adaptable as possible. This meant that I should be able to add as many or as few shelves as I need. This way I can stack the shelves around windows, or put a short stack next to my chair to serve as a combination bookshelf / end table. Of course, in order to stack the shelves, I needed to find a way for them to "mate" so that the shelves wouldn't slide around on top of each other. 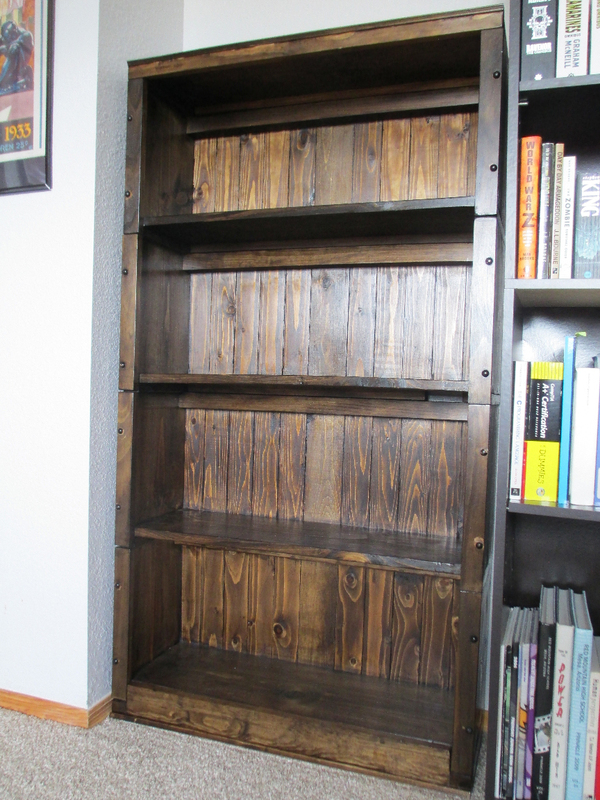 I was able to do this - the final design locks the bookshelves in place and only allows sliding movement in a single direction, forward. I originally designed it so that movement was locked in all four directions, but this would have required tight, standard tolerances to allow the shelves to easily mate. Since I'm still mostly working with hand tools at this time, I changed the design to allow the shelves to have looser tolerances. Another goal when creating the design was that it should be easily adjustable to new dimensions. In other words, the mating system shouldn't rely on a specific width or height in order to work - I should be able to make a shelf taller or wider without needing to change the way Again, the idea here is to be able to build shelves of different heights that can stack into the same bookcase; and to be able to easily change the width in order to fit available space. I'm proud of the design I came up with. 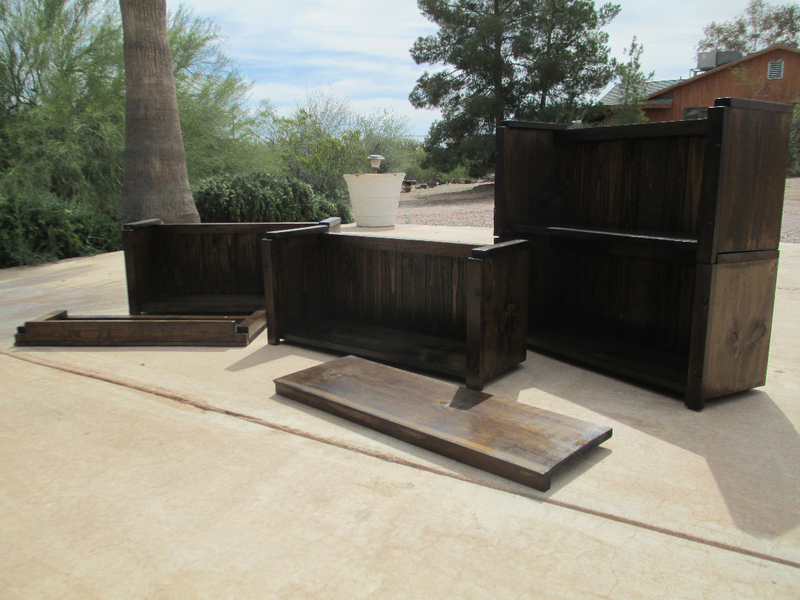 Here's a photo of the first set of pieces I built - four shelves, plus a bottom piece and a top piece. As you can tell, the shelves have been stained. This is my first time staining something and I'm not entirely happy with the result, but it was a good learning experience and I expect I'll do better in the future. 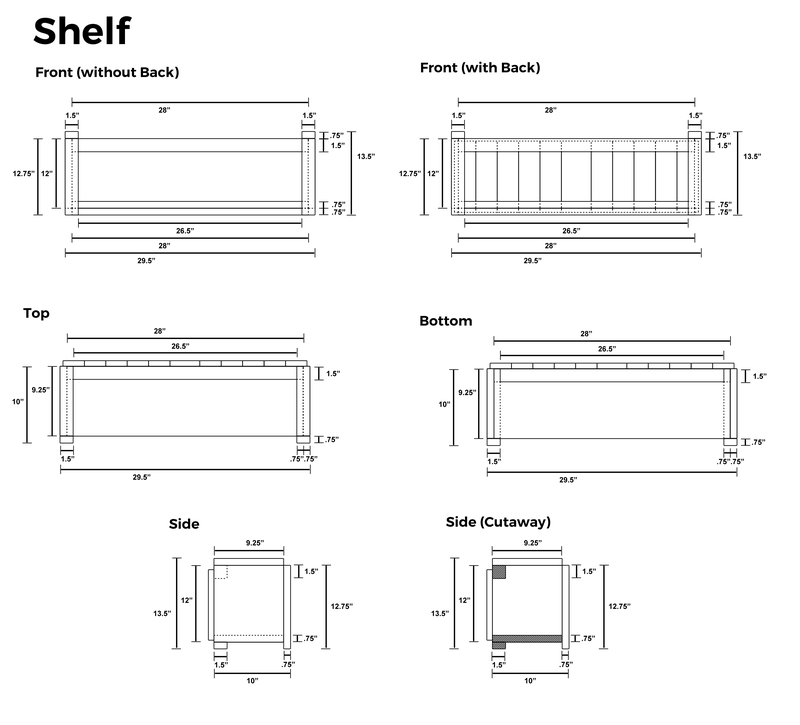 The plans for this shelf are more complicated than plans I have done previously, so I've tried to be a lot more detailed than normal. I've added views of both the top and the bottom to make things easier to understand. There are two versions of the front view: one with the back slats showing, one without. I found that the one with the back showing was very hard to read, so I created a version without it. 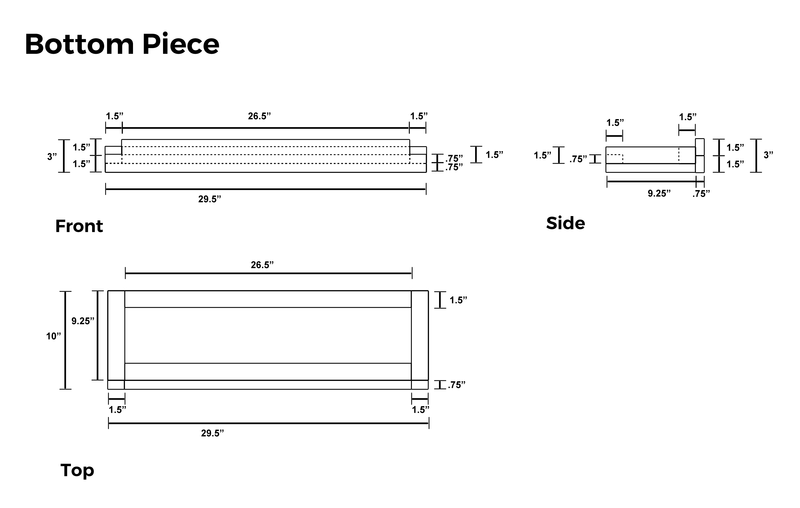 On the subject of the back slats, I didn't include any measurements for them, because it's more or less up to you how you want to panel the back. I chose to use 2.5" furring strips paneled to cover the opening at the back - they don't line up with the back edges, but it doesn't particular matter to me since they're not visible anyways. You can download all of the plans together here. 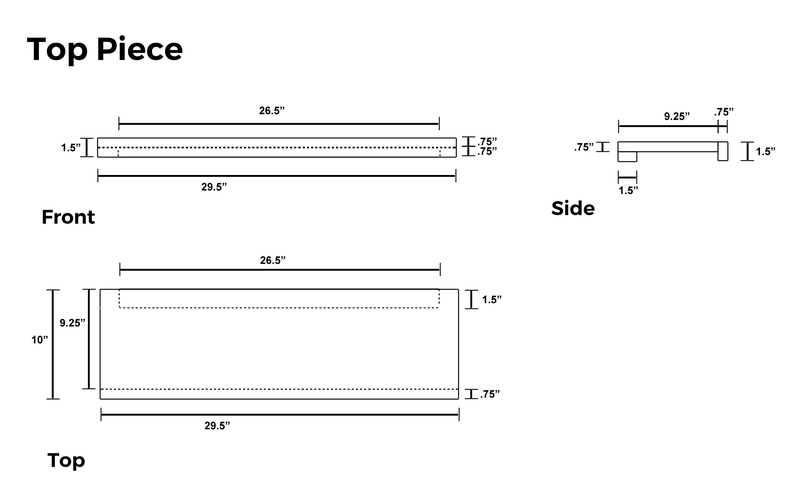 I'll likely be building more sets of shelves based off these plans in the future - I've got plenty of books that need new shelves. I don't expect I'll make any changes, but if I do, I'll post about them here.